Electrical Utility – A large amount of the equipment used in the distribution of high voltage electrical power uses Sulphur Hexafluoride (SF6) as an insulating gas. 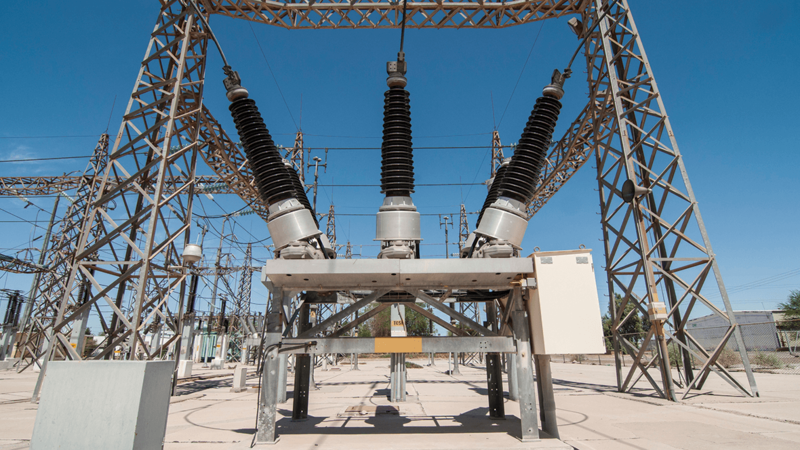 This allows the equipment to be more compact and protected from the elements inside substations. The long wave gas detection camera is extremely sensitive to SF6. Petrochemical – The industries that make hydrocarbon substances using base feedstocks from the oil refining processes either by conversion processes or further separation that is not normally carried out at an oil refinery. Some of the chemicals used or made in these industries have good visibility using the long wave gas detection camera. Chemical – The production of non-hydrocarbon or inorganic chemicals from base feed stocks. These are often a mixture of batch and continuous processes that yield very high purity products. The long wave gas detection camera has a good response to some chemicals found in this sector of industry. Service Providers – Companies are increasingly contracting out services for leak detection and repair (LDAR). 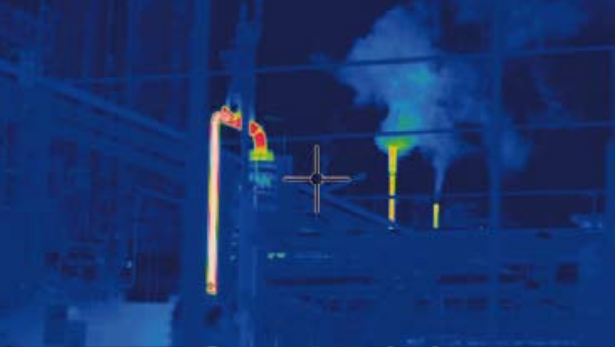 LDAR service providers currently using non-imaging gas detection methods will see a dramatic improvement in productivity and gas detection capability using a gas detection camera. 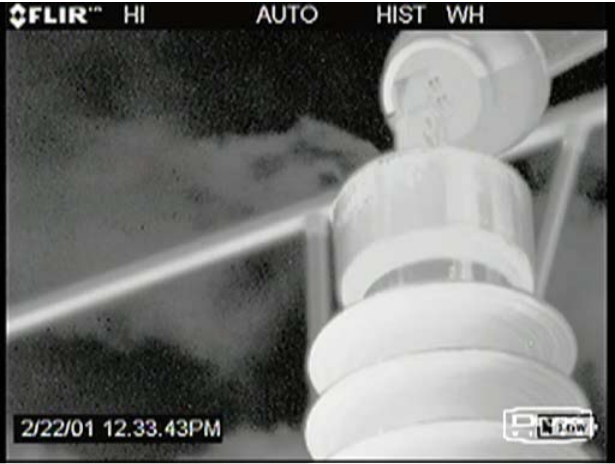 The primary market for the long wave gas detection camera to date is the electrical distribution industry - specifically, the detection of Sulphur Hexafluoride (SF6). SF6 is used extensively in the electrical distribution industry as an insulating gas in high voltage switchgear and transformers. It is a potent greenhouse gas with a ‘global warming potential’ (GWP) of 23,900 and an atmospheric lifetime of 3,200 years. The GWP means that a release of 1kg of SF6 into the atmosphere has the same impact as a release of 23,900 kg or 23.9 tons of CO2. To put this in perspective, a company that purchases 1 ton per year of SF6 as top-up gas is releasing 1 ton per year through leaks. This is the equivalent of 23,900 tons of CO2. To produce this amount of CO2 you would have to drive an average sized car just over 149 million miles (239 million km). That’s the equivalent of driving 311 times to the moon and back, or 5964 times around the equator! Conversely, a company that reduces its emission of SF6 to the atmosphere by using a gas detection camera to locate and fix leaks is improving the environment by the same amount as taking 11,950 average cars off the road. Leak paths found on electrical distribution equipment are fewer than in the process industries. The most common are flanges, bushings, bursting discs and valve stems. Leaks may be due to poor installation, disturbance during planned maintenance, or failure of the sealing parts due to age. The long wave gas detection camera has proved to be highly effective at detecting very small leaks. The pressures used in switchgear and transformers are relatively low, which results in very small leak rates. In addition, the operating temperature of the equipment is generally close to ambient. The result is a low thermal contrast between the leak and the background. Despite this, the camera is capable of detecting leaks as small as 0.25 kg/year and has had success in both indoor and outdoor substations. As with the mid wave camera, the long wave camera is effective at some distance, which not only removes the requirement to provide access to all potential leak paths - it also permits leak surveys to be completed when the equipment is energized. The applications for the long wave gas detection camera in these industries are very similar to the applications for the mid wave gas detection camera in the petrochemical industries, but the reasons for the surveys may be slightly different. In the petrochemical industry, the main drivers for leak detection surveys are the protection of the environment, reduction in lost product, and the elimination of potentially flammable leaks. These priorities also apply in the chemical industries, but the chemical compounds visible with the long wave gas detection camera are generally more toxic. 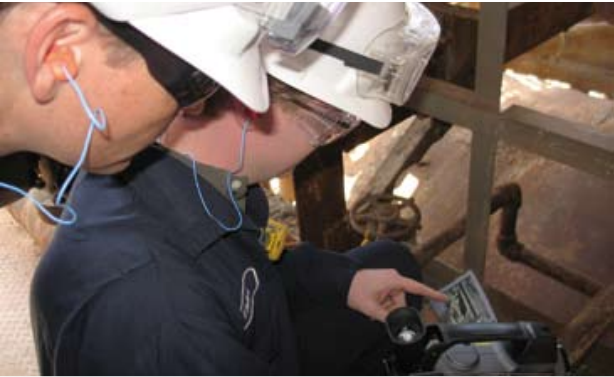 Protection of personnel may therefore become an additional reason for performing leak detection surveys. The long wave camera is also ideal for detecting several refrigerant gases. These include gases that are used for domestic and commercial refrigeration and automotive air conditioning. The gas camera is most effective when used at the manufacturing stage for these items rather than the maintenance stage. New product design testing and production sample testing can lead to reduced failure rates improving reliability of the finished product and reducing the emission of potentially harmful gases to the atmosphere. Governments are becoming more aware of the risk posed to the environment by release of SF6. There is a general increase worldwide in the use of gas filled substation equipment, and no alternative substance is currently known or used. Consequently, they are providing a combination of reward and punishment for the reduction of losses and the release of gas respectively. Some governments are enforcing reduction in SF6 release by means of fines; some are advocating encouraging the reduction of leaks by giving financial incentives such as tax breaks for demonstrated reduction in consumption. The cost of SF6 is also increasing which further increases the financial motivation to eliminate leaks.